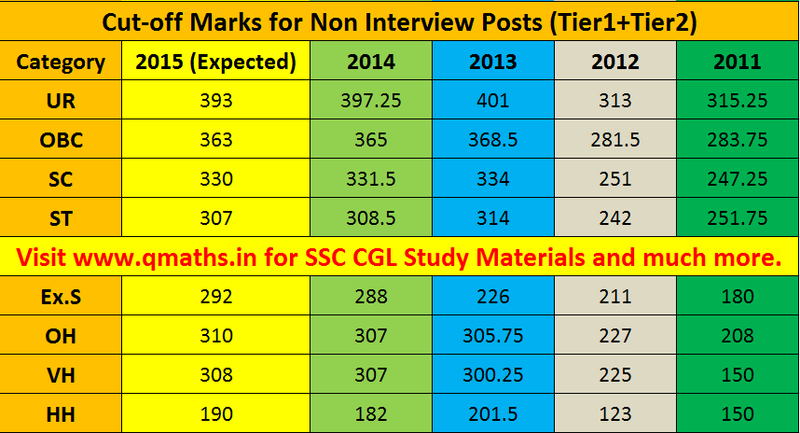 Hello friends, SSC CGL 2015 Tier 2 (Mains) was conducted on 25 october 2015. There are about 1.44 lakhs of candidates have appeared for this exam. We are providing here a brief analysis of paper and expected cutoff. The pattern of question paper was same as earlier, but SSC has improved a bit in level of questions from previous year. Bilingual pattern was confusing as it was stacked over one other. Questions from Algebra and geometry were tricky and time consuming, some questions can easily be solved by the options provided. Overall 80+ attempt with very high accuracy is a good attempt. This time english paper was moderate and had some twist in its pattern, although same number of questions were asked from topics as earlier but cloze test was at random order which wasted time of candidates. The pattern of error spotting was also changed. Overall 170+ attempt is good. 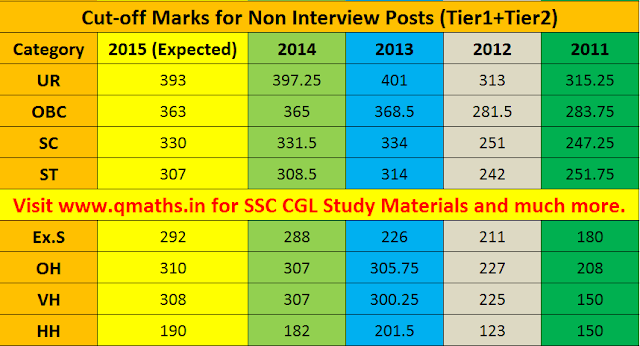 Since at this moment, SSC has not revealed the number of vacancies, so part of this analysis is on assumption. We assume that number of total vacancies around 12k and prepared this chart. If Number of vacancies is high then cut off may go down further. Although this year difficulty level of paper was more than the previous year which may result a dip of approx 15 marks but high cutoff and overall marks in Tier 1 of individual candidates will increase the cut-off marks.